Having your new guitar GEniuS™ Certified is all about you and your needs as a guitarist. Your GEniuS™ accredited guitar technician will talk directly with you to guarantee your new guitar is set-up exactly as you wish. Your new guitar will go through an extensive process including: Adjusting the truss rod and verifying function. Setting the string height to match the fretboard radius and to your height specification. Precise intonation adjustment to correctly match your choice of string gauge and tuning. And correct height setting of the bridge to match your set-up needs. A beautifully fretted, levelled and polished fretboard is an essential part of having a great playing guitar. That is why we allocate our most intensive efforts to this crucial area when your guitar is being taken to GEniuS™ status. 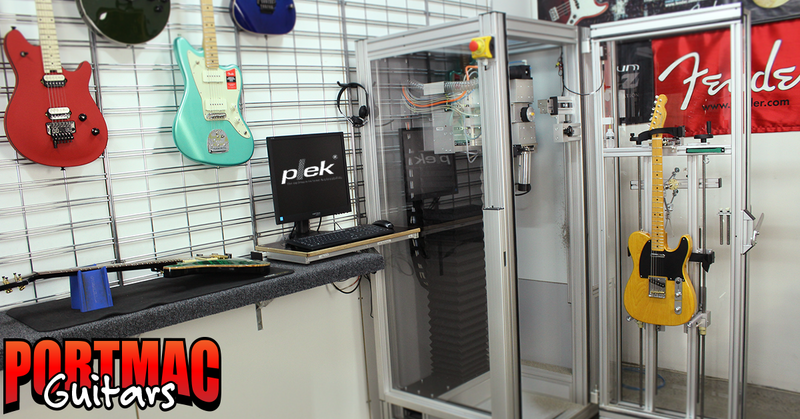 Your new guitar will go through our PLEK Machine so our Techs can see exactly what is happening in regards to the fret work and correct any issues at a resolution of 1/1000th of a mm. Your new guitar will then receive highly detailed hand fret polishing to ensure a superb playing surface. Extreme attention to detail is paid to detecting buzz and eliminating it. GEniuS™ Certification is your key to the ultimate guitar playing experience. Your acoustic guitar require an extra level of care when being set-up if it is to be successfully shipped to any area and climate around Australia. That is why when your new acoustic guitar over $1000 is GEniuS™ Certified, you will receive a D’Addario Planet Waves 2-Way Humidification System (Valued at $60) to ensure it arrives in perfect playing condition. Too much or too little humidity is the enemy of acoustic guitars which is why we’ve included this great product to care for your new guitar on its journey to you and beyond. GEniuS™ Certification of your new guitar involves up to 34 individual processes which you can Learn More About Here. All 34 steps focus on checking, adjusting and refining every detail of your new guitar. GEniuS™ was designed from the ground up here at Port Mac Guitars to deliver a level of performance that is way beyond Factory Specifications. Factory Set-ups are designed with one thing in mind. To have the guitar play straight out of the box without any major issues that would prevent the guitar from being playable. What a Factory Setup does not take into account is You. After all, this is your new guitar we are talking about. GEniuS™ is answer whether you are buying from us in-store or online. We stand by every step in our propriety process and guarantee you the best playing guitar you can get from anywhere. Available now and Exclusively at Port Mac Guitars. CLICK HERE to see some fantastic Testimonials from our many satisfied Customers! Want to send your Guitar to us to go thru a GEniuS™ Guitar Enhancement, PLEK and Luthier Setup? Please CLICK HERE.